This is the first full release from Chicago based Bridges Of Konigsberg. 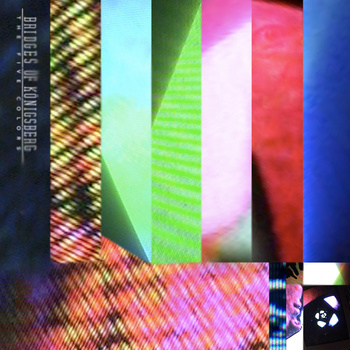 This is a follow up to the awesome 4 track EP, We Have Many Faces which was released in 2010. There is a rich mixture of sounds and textures throughout the album. Some great post-rock, ambient, keys…they do seem to be carving out a nice sound for themselves. It is an album of two sides in a way, the instrumental tracks and the tracks with vocals. Although the tracks with vocals often lead to more instrumental passages of music rather than being bogged down with said vocals. Its a formula that works, and it works really well. They have offered this release as a pay what you want release on Bandcamp, as seems to be the way with a lot of releases these days. They are also offering a CD, which you can buy for $10 in a very limited edition of 100. Make that 99 now as I have my copy in the post. And as with all Endless Field Studios releases the physical copy is a first class package. I would jump on this physical release before they sell out, and I don’t think that will take long. This entry was posted on January 3, 2012, 10:10 pm and is filed under Playlists. You can follow any responses to this entry through RSS 2.0. You can leave a response, or trackback from your own site.